It's the GPS-only model, but there's a good chance you might not need the cellular connectivity anyway. 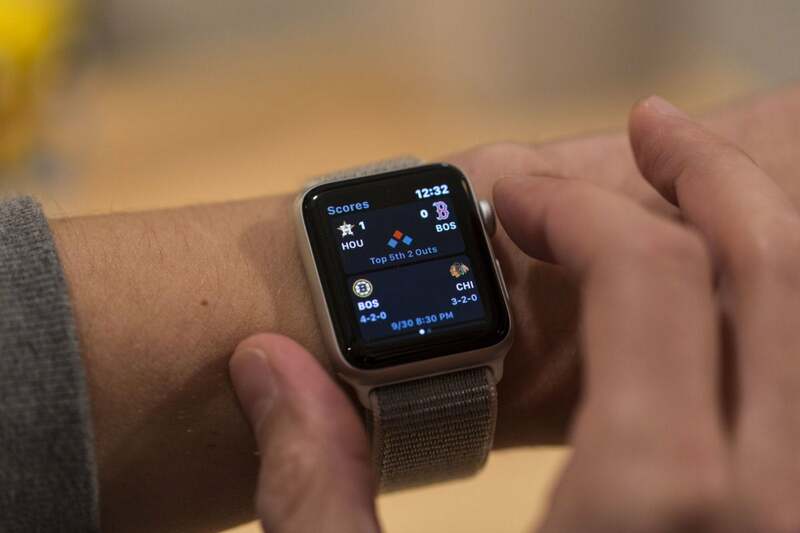 We’ve seen several deals for the Apple Watch Series 1, but those are understandable as the older device has been eclipsed by the faster, brighter, and waterproof Apple Watch 3. If you’ve been holding out for a good deal on the most recent model, though, today’s your day. For a “limited time,” Macy’s is selling the GPS-only Apple Watch Series 3 with the Sport Band for $50 off. That means you can pick up the 38mm watch for $279 or the 42mm watch for $309 shipped. Unfortunately, today’s deal doesn’t affect the cellular model. The ability to enjoy the full functionality of your Apple Watch without needing to keep it tied to your phone was one of the big selling points of the Series 3, and it’s certainly handy when you’re engaged in some sporty activity where it’s smart to leave your phone behind. That said, I have a cellular Apple Watch Series 3 and I’ve never turned on the cellular because I’ve simply realized I don’t need it. In my case, Verizon requires a separate $30 activation fee to connect the Watch to the network and then a follow-up $10 monthly fee to let the watch use its own data. (You can get a breakdown of all U.S. networks’ plans here.) That gets expensive, and I can’t see where it’s necessary for my own uses since I’m almost never without my phone anyway. Yet it’s a wonderful device. I forgot it at home the other day for the first time in weeks and I was a little surprised by how much I missed it. The Apple Watch’s Activity app helps me maintain a daily exercise routine, and I like being able to see various notifications without having to whip out my phone every time. And if you have a Mac, the Watch’s ability to unlock your MacBook or iMac just because you’re standing near it counts as one of the best features. In our review, we found some connectivity issues and didn’t like that it didn’t have an onboard App Store, but we admired its fast chip, its excellent battery life, and its health and fitness features. That’s still the case, and this is one of the best prices we’ve ever seen the GPS-only model listed for. If you think you can do without the cellular data plan, this is an excellent buy. Remember, though: This is a “limited time” sale, so it could vanish soon.